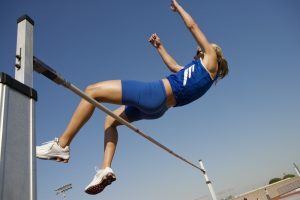 I’ve always loved the high jump as a metaphor for business. As soon as you clear the bar, the bar is raised for your next attempt. Goals of X acquisitions, or Y revenue growth are relevant, but I feel the primary drivers are questions that endure and have no answers, or remain just beyond my reach. How far can I push myself? Where can I take this? The goalposts keep moving. Deals are full of obstacles and challenges. But how bad do you want it? Going to a dozen banks and getting rejected for financing? Check. Getting sued in pursuit of an acquisition? Check. Public hearings? You got it. Pushed by adversity, you redouble your efforts. You go back, rework your numbers, tear apart your assumptions, and build your thesis again from the ground up. That blueprint has worked for me time and time again. If the juice is worth the squeeze, you simply do what it takes. I always find myself looking at things with a tilted head, and a quizzical look on my face. It’s the physical manifestation of how I think. I figured out some time ago, that if the crowd is zigging, and I’m zagging, I’m in good shape. I sign my name on personal guarantees to pay for businesses that are losing money and that I gladly bought. Why? Because the deals made sense. Formed in late 2011, Altitude Health Services was an outgrowth of what was already being done naturally. I had been working with my father since mid-2005. Competitors were all trying to grow in Chicagoland. I simply found less of a frenzy and greater values elsewhere. As I began to acquire skilled nursing facilities outside of the Chicagoland area, it soon became clear that the support services being provided by my father’s company were geared towards the Illinois and Indiana regulations and marketplace. There was no lightning strike, just a practical realization. I stepped into the breach because there was a need and value to be found in Nebraska and Arizona. Navigating the family politics of intertwined businesses was the greatest challenge at first. A partner with my Dad, but needing to create a new and different path. Even the very concept of the business filling a need was a difficult one for my father to accept. His company was fallible? He eventually understood, but getting him to fully buy into a separate organization with dedicated resources was a real personal risk. It’s hard to walk those kinds of choices back. We enjoy our ability to run our own operations, but come together for strategy and growth through our shared acquisitions. We love working together, we want to keep on doing what we are doing, and find it exhilarating that we have no set plan and don’t necessarily know where the next day might take us. We love entrepreneurial freedom! While buying facilities in markets and situations that were attractive to own and operate, I realized I could also apply my deal making skills to create an investment vehicle as a landlord to a third party operator. I knew how to source, negotiate, and finance the deals. I now had an understanding of the operations side of the business, so I knew why my tenants would be drawn to deals. Plus, I created a professional network which gave me the resources from where to draw tenants. Instead of leasing out problem assets on a one-off basis, I began to view this as a growth opportunity, an independent line of business. Back in the day, the Arkansas Razorbacks basketball team put opposing teams through “forty minutes of hell” to win games. My one hundred twenty days of hell are the typical deal life cycle and consist of negotiating with sellers and their brokers on price and terms, banks on financing, and tenants on lease terms. However, when the deals are done, my victory is years of steady and healthy cash flow. From a potential nursing home operator standpoint, there are three points that define my strategy and differentiate me from other real estate / healthcare landlords. First of all, local and regional operators. Second, my tenants are given purchase options at a predetermined price. I want my tenants to succeed, I want them to own real estate and I want to turn my money for the next deal. FinalIy, my tenants are motivated to succeed because they all have skin in the game, in the form of a non-refundable option deposit. Because of these factors, I am confident in my ability to grow long-term as well as ensuring that my tenants succeed and create independent wealth. By leasing out facilities to newer, less experienced operators, my actions have a multiplier effect. Those tenants create jobs, invest in their facilities, and give back to their communities. In turn, they give opportunity to unproven employees or vendors who just need a break and a chance to grow. In delivering on our promises and seeing that when we do well as a enterprise our employees and business partners do well as individuals, our culture has shifted. People know that they can make a difference working for something larger than themselves that will ultimately benefit them.